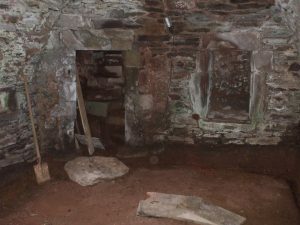 We have been working on dump proofing in Edinburgh and Dalkeith for many years. 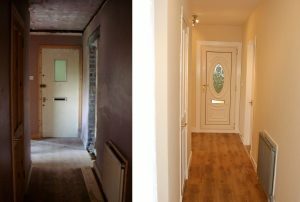 We have done this for customers that needed their property damp proofed for the first time and also on the basis of management and repairs of the previously damp proofed properties. If you want to keep unwanted moisture at bay and eradicate dampness, why not give our builders a call. 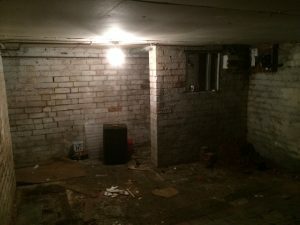 We have carried out many damp proofing jobs in the past ranging from basements, houses, warehouses and other commercial premises, etc. 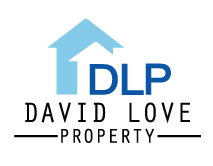 At David Love Property we understand the discomfort and the dangers of a dump wall, room, and floor so contact us today for a free quotation and consultation. The integral dump proofing is a common method that we have confirmed as the best and the cheapest method to resist moisture in home buildings in Edinburgh and Dalkeith. Our teams have used this method more than once in preventing moisture in most of the properties where we had to work. The integral dump proofing technique involves the utilization of waterproof materials mixed with concrete. This is a more affordable method. 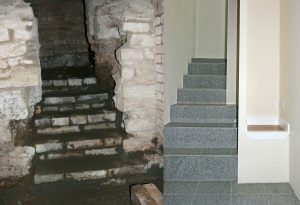 This method of damp proofing is ideal for repairs and maintenance. The other common and ideal method that actually is recommended for all types and levels of damp is the DPC (Damp Proof Course). The DPC is placed on the floor slab so that it prevents the transmission of water in the interior part of the wall. In most cases, if this method is applied, it will help you avoid the constant repairs and maintenance by preventing the rise of water by capillary action. The damp proof course is a material that is specifically manufactured to be used in the prevention of water rising to your property. Contact us today for a free consultation we will be glad to assist you with elimination of dampness in your property. We are highly experienced in various types of building work; we have built a reputation on quality and high-end services to all our customers in Edinburgh, Dalkeith, and Midlothian.